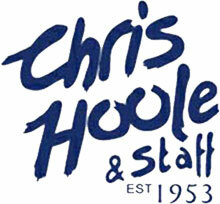 Chris Hoole Senior was an immigrant from Holland. Chris' ancestors could be traced way back to the sixteenth century from a village aptly named Hoole Village, located in the heart of England. Even back in those times, the Hoole's were renowned Coach and Kart builders, and the tradesmans' gene was passed down through the generations! Since the birth of the company, 3 generations of the Hoole family have worked hard to provide superior Residential Painting Brisbane services, unrivalled in quality. Since those days, the company has grown immensely in the painting industry from its humble beginnings to now employing more than 40 tradesmen and office staff. Nothing is more important in business than experience. We have more than 60 years experience in residential painting in Brisbane and we take great pride in completing every one of our jobs to the utmost of our ability and to the satisfaction of the client. Whether the job is a backyard shed or the tallest high rise, no matter how difficult the job or where it may be located, it can be handled by Brisbane's premier painting company. We will complete the project on time, on budget and with the highest work ethic and attention to detail!